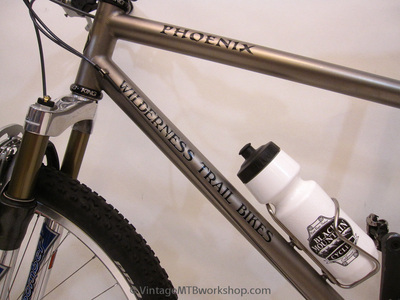 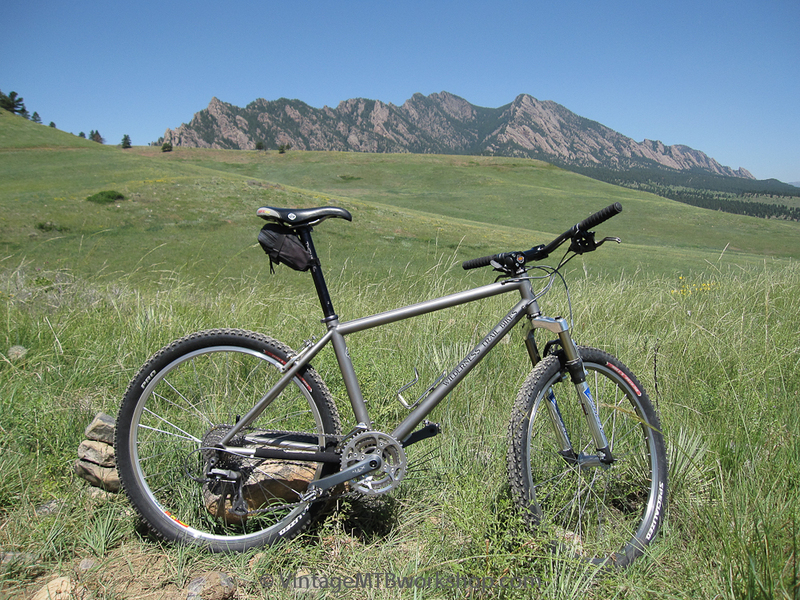 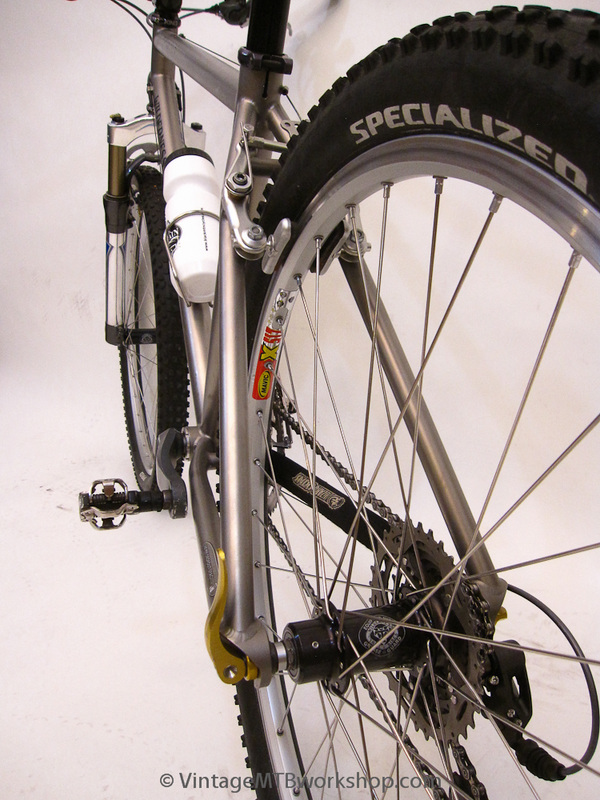 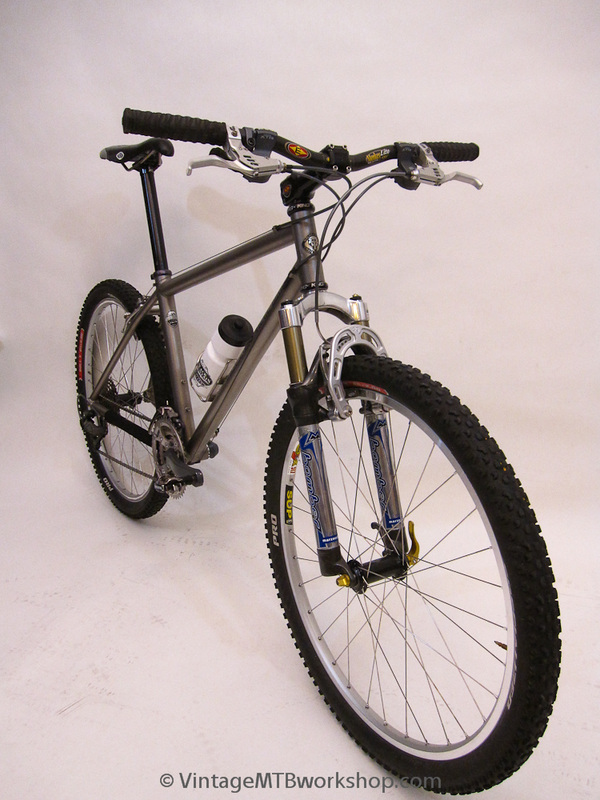 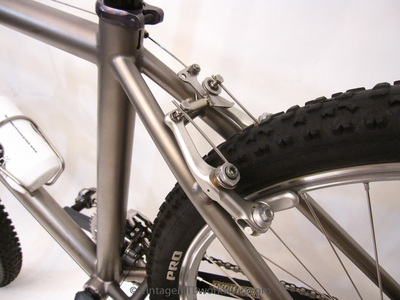 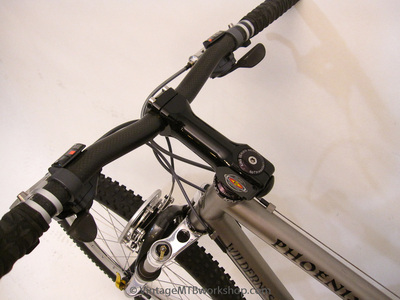 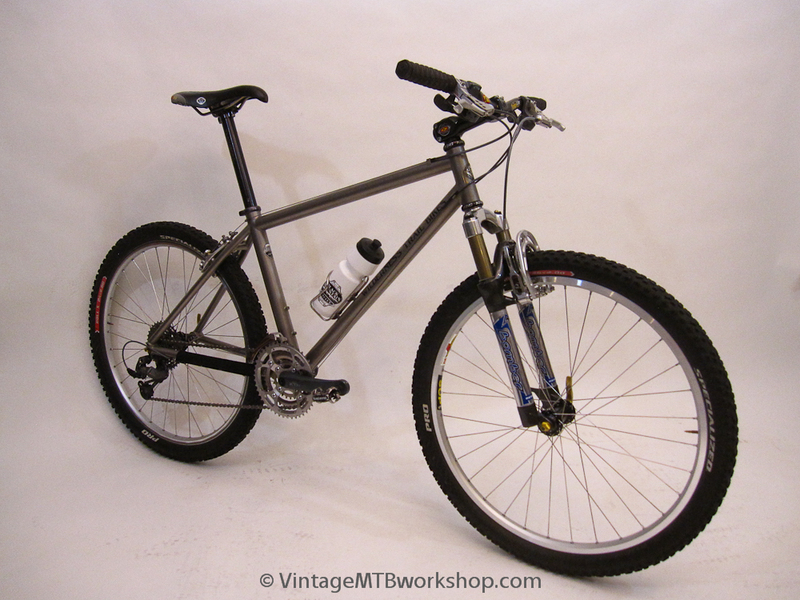 The Wilderness Trail Bikes Phoenix utilized the geometry, sloping toptube, and over-sized tubing concept of the aluminum Cunningham Racer. 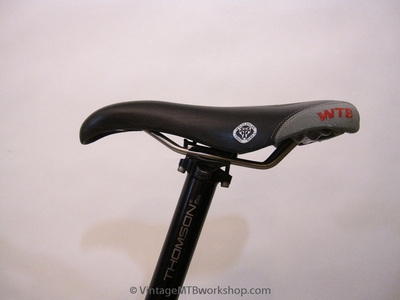 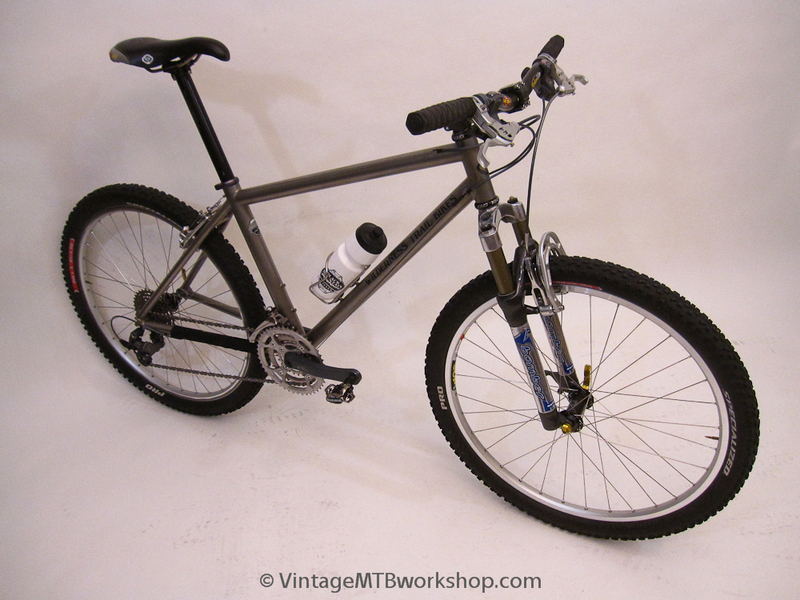 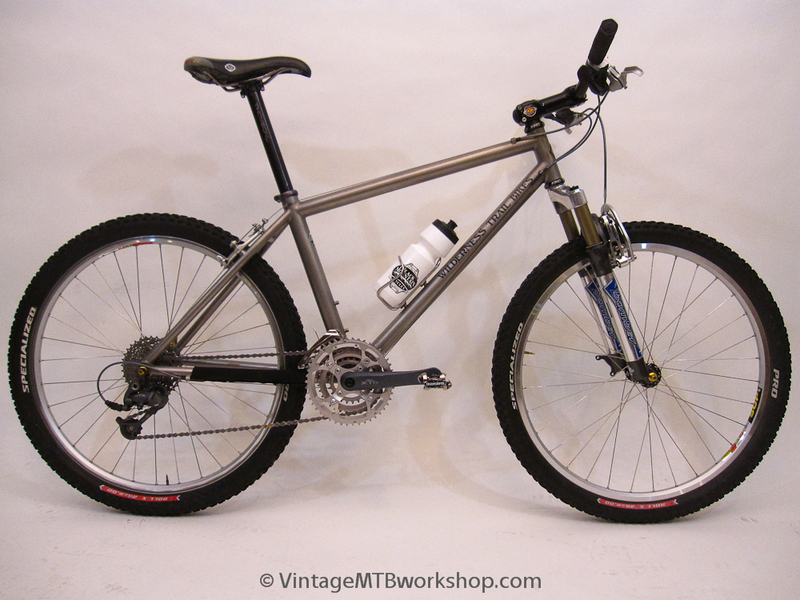 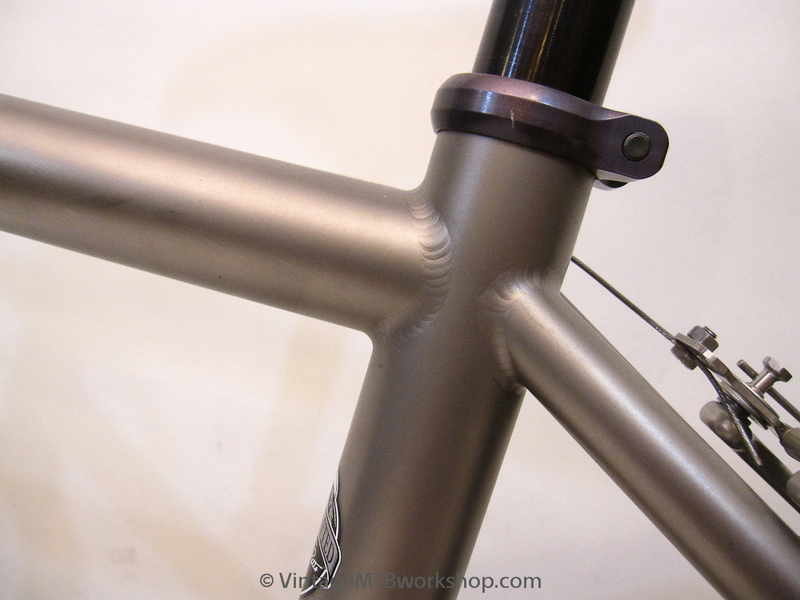 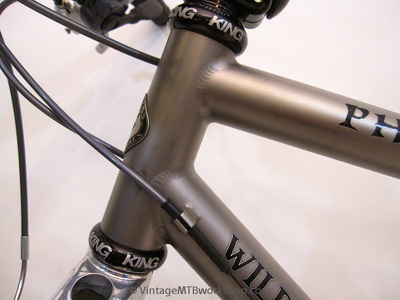 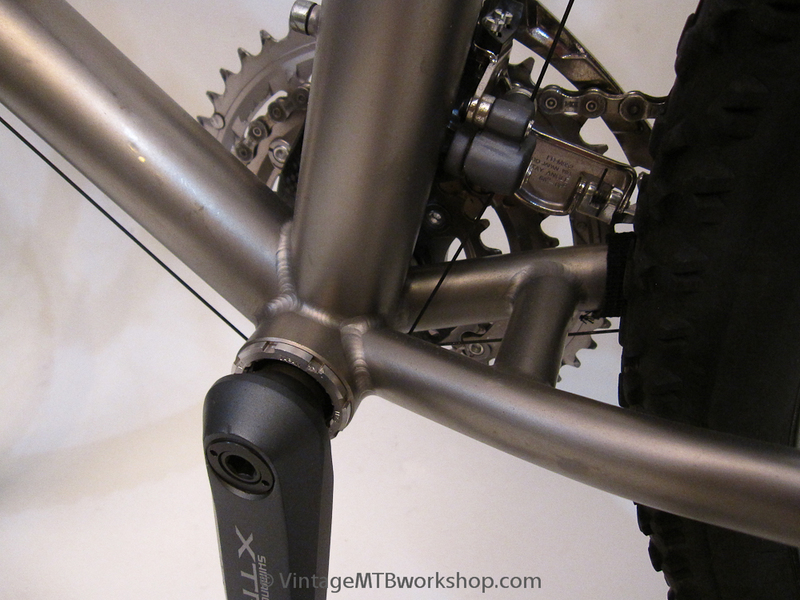 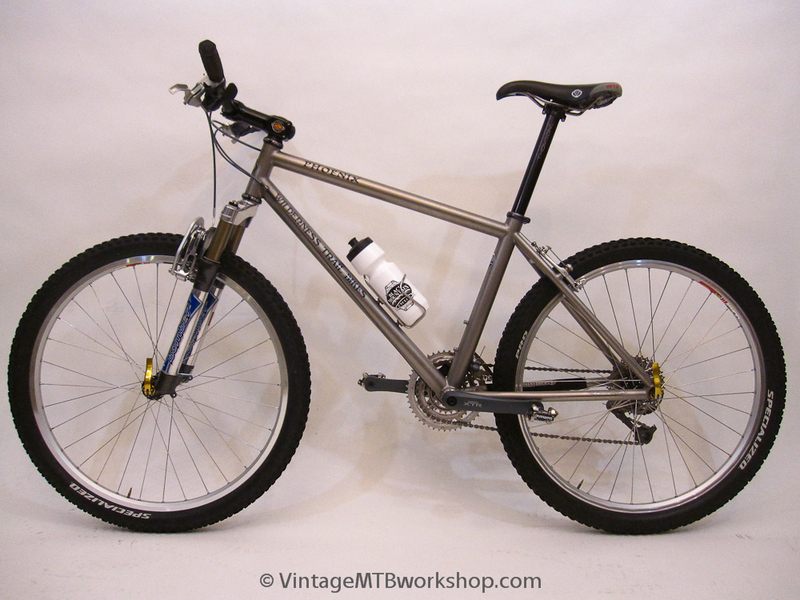 This titanium model was constructed by WTB founder and legendary frame builder Steve Potts, and shows the skills that Steve developed and would go on to use in his own line of contemporary frames. 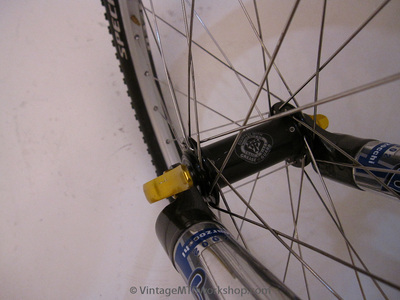 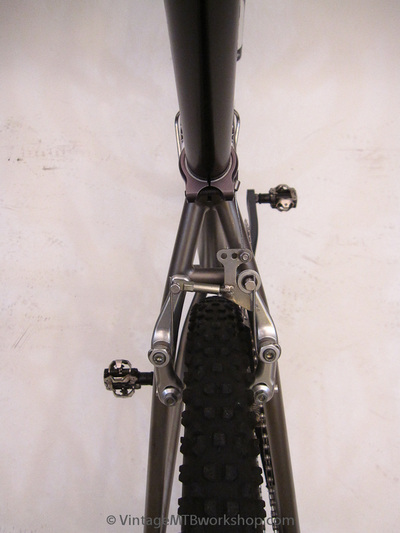 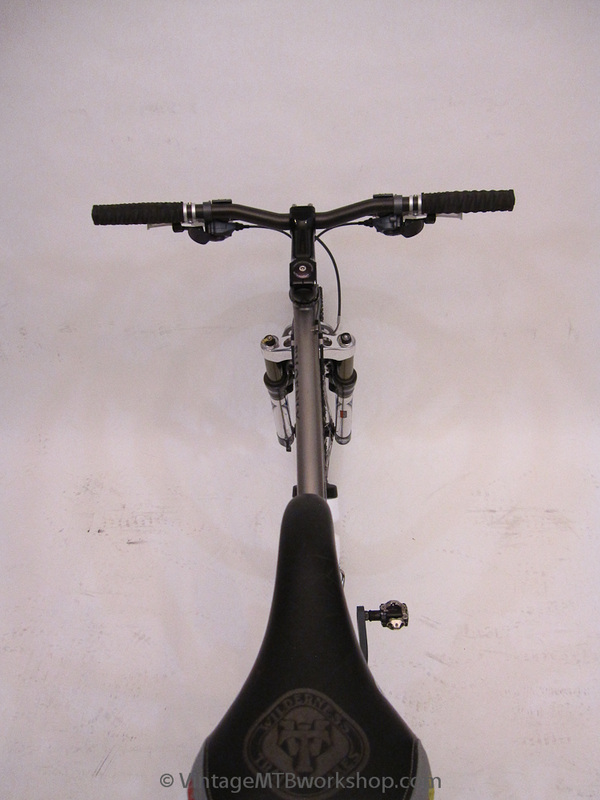 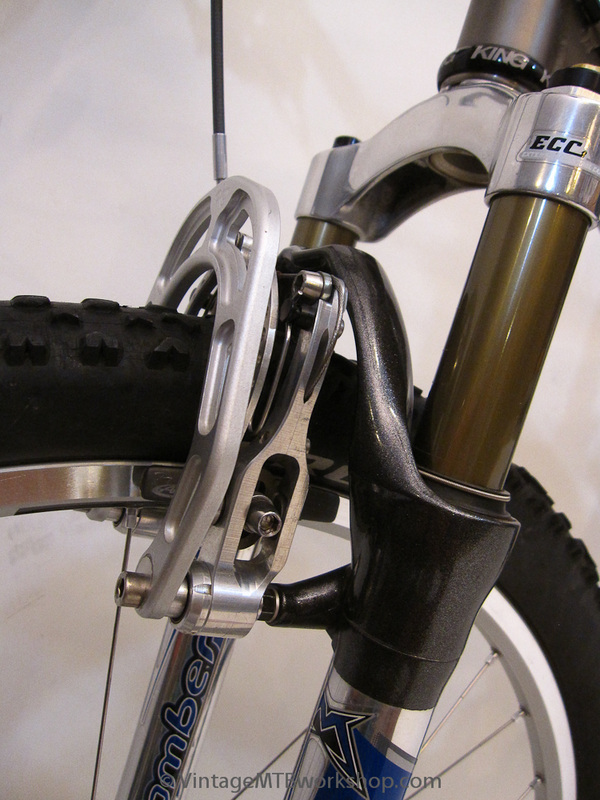 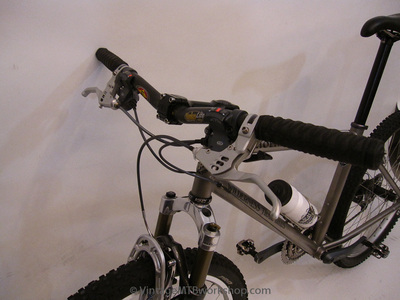 This bike was custom ordered with a WTB Togglecam brake mount for the rear. 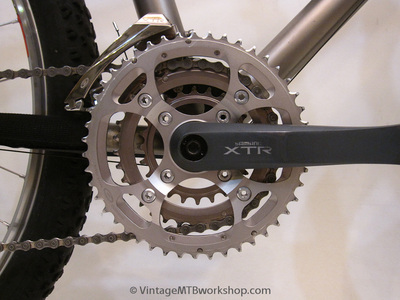 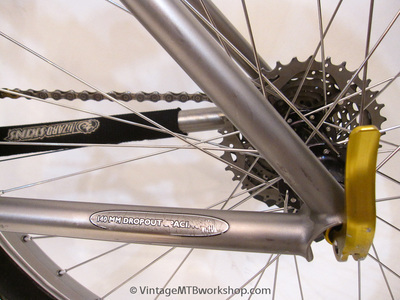 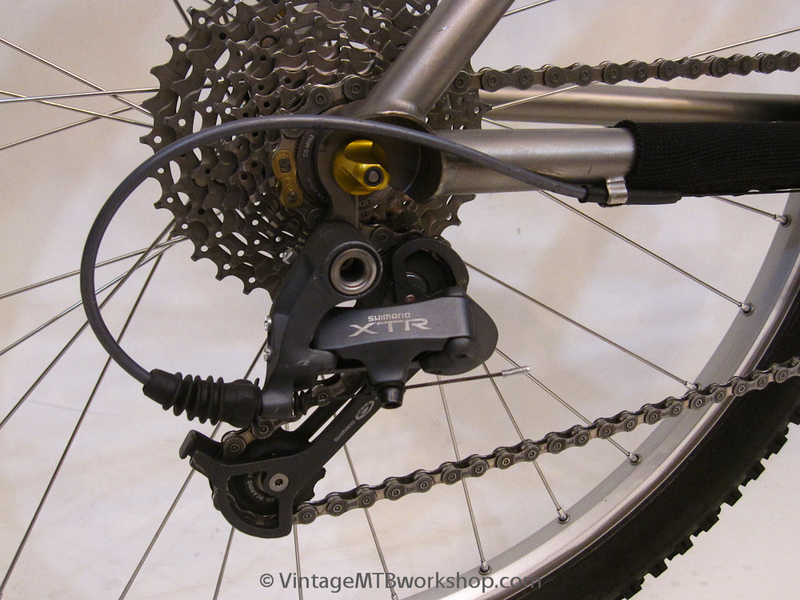 In keeping with the Cunningham design, the frame utilizes a very large 1.5" seattube which necessitates the use of a direct mount front derailleur. In the long development of the 26-inch hardtail, there isn't much more that one could ask for.